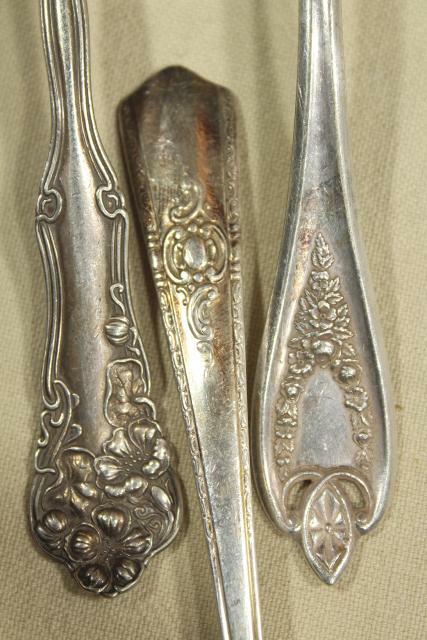 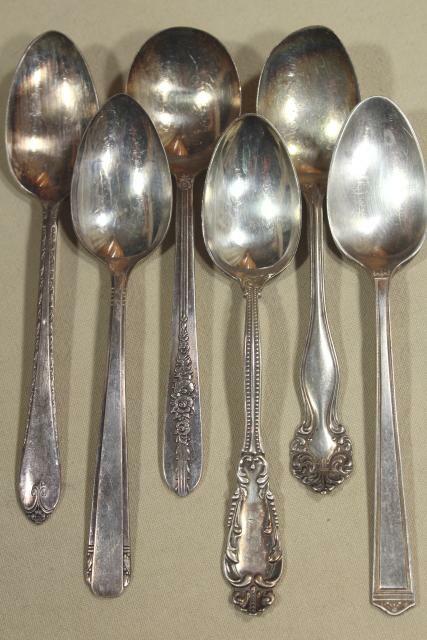 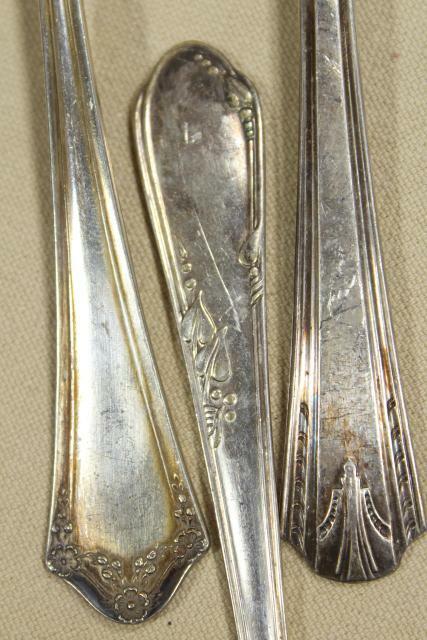 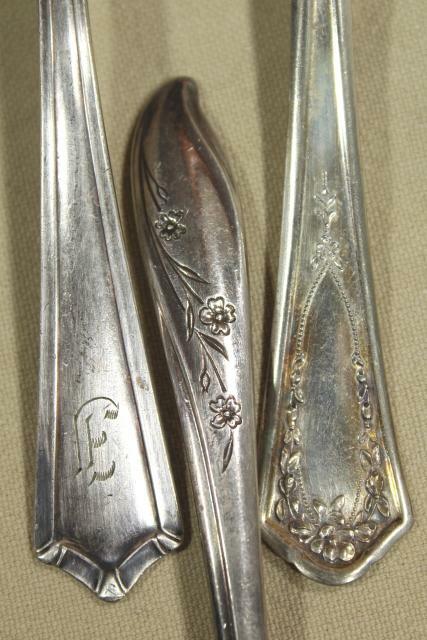 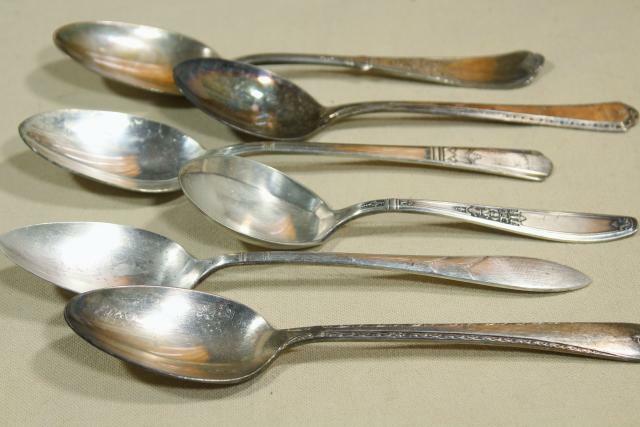 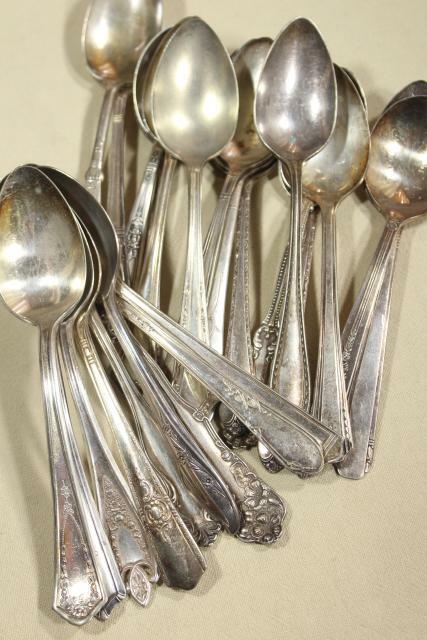 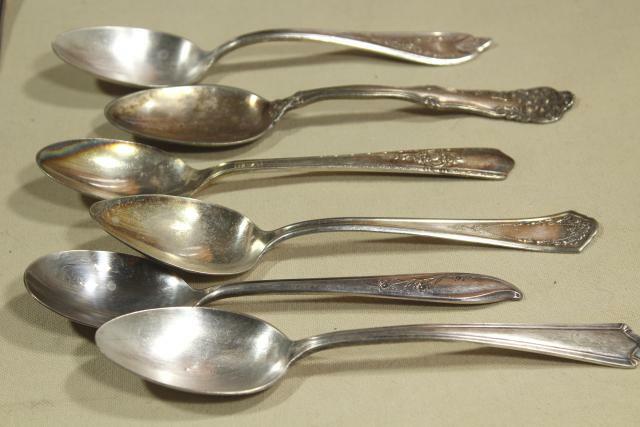 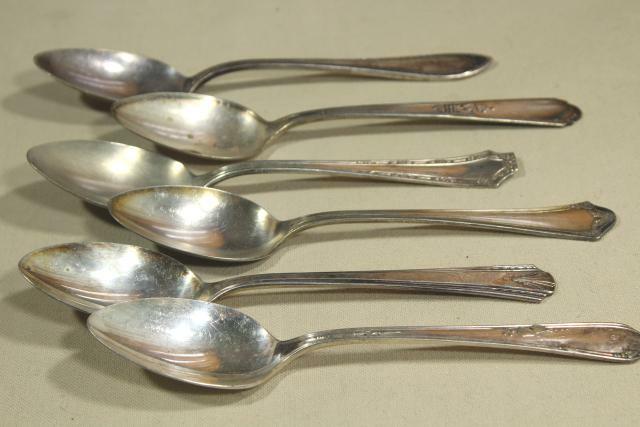 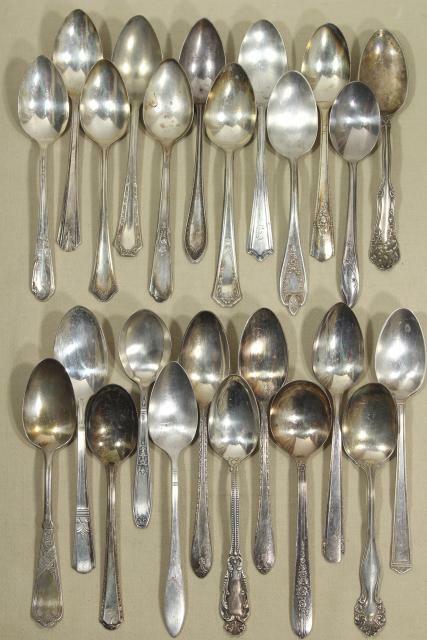 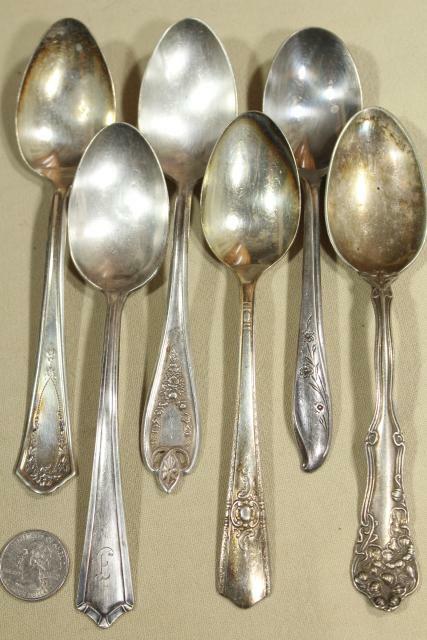 Lovely lot of antique and vintage silver plated soup spoons... there's 24 spoons in this lot, each one a different pattern. 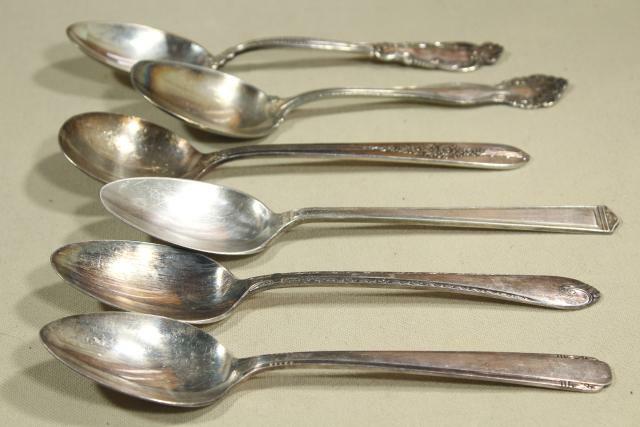 They are showing age and wear, and aren't perfect. 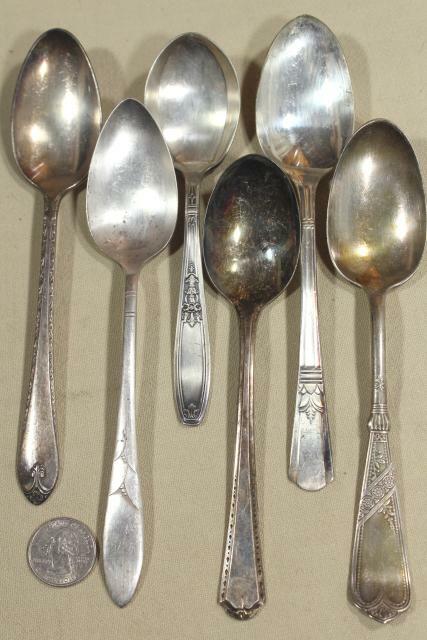 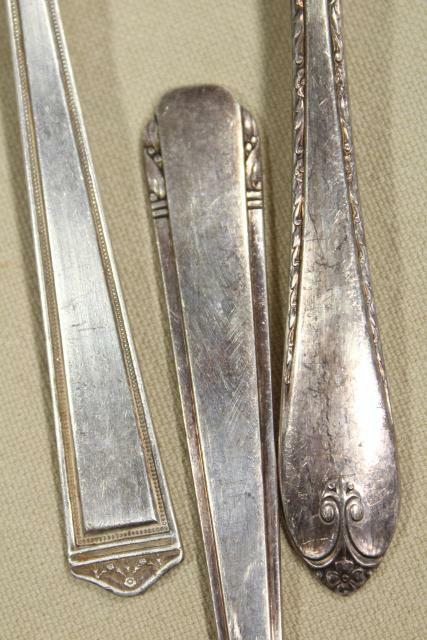 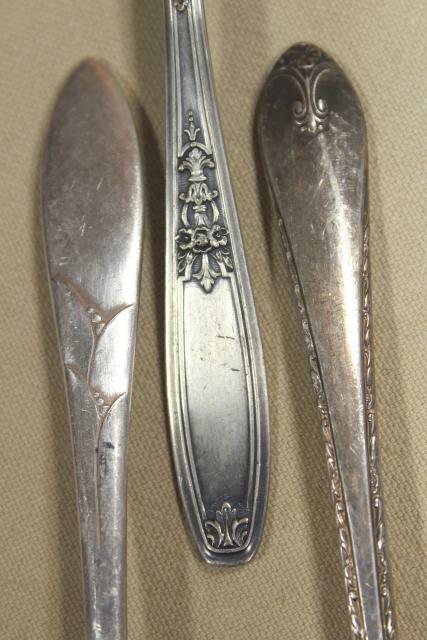 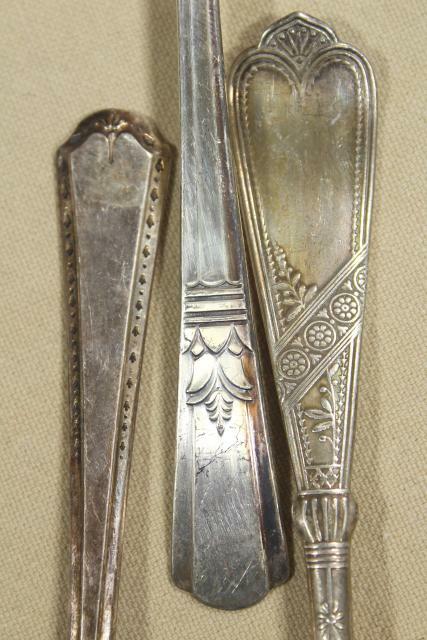 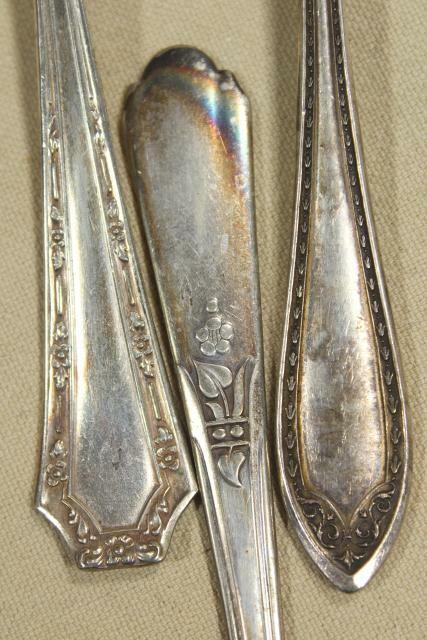 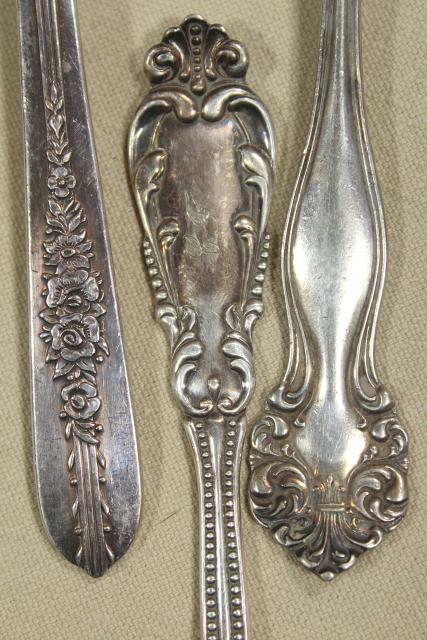 But we believe they're all very usable yet with a good cleaning and polishing. 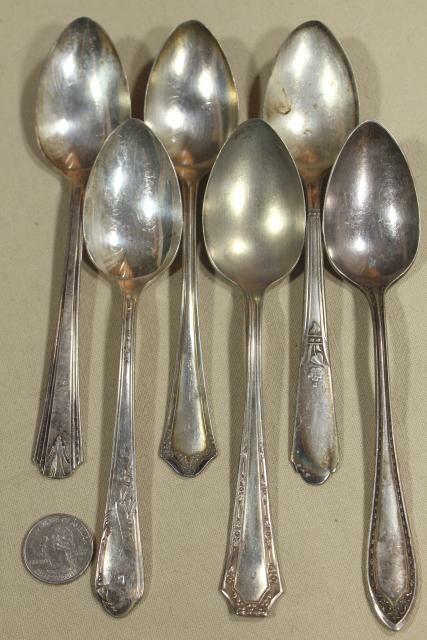 They're really nice all purpose spoons, a good weight, and sized to use for just about anything beyond the daintiest of dishes!